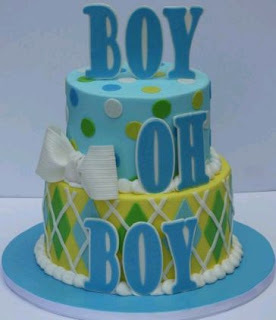 One of the most important issues within the celebration of a baby shower is the cake, it's actually the guest of honor and which attracts all eyes of the other guests. 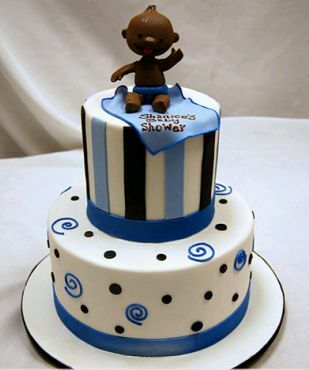 To choose it must first consider whether the party has a particular theme, if so, preferably using the same details on the cake, another important aspect is the size, which should be related to the number of guests and finally the taste, preferably be one that pleases the mother, since she is the guest of honor on behalf of the baby. 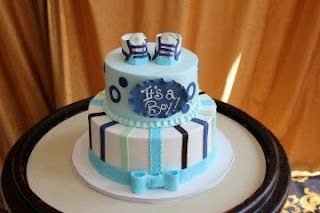 Here are some ideas that may be useful. 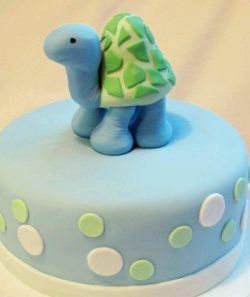 This first model is quite simple, but very tender, is ideal for celebrations with few guests, remember that you can vary the colors and use them in your decor. Another very interesting idea with a baby sitting on her blanket, on top of the cake. Cute and Cuddly model with a pair of shoes on top. 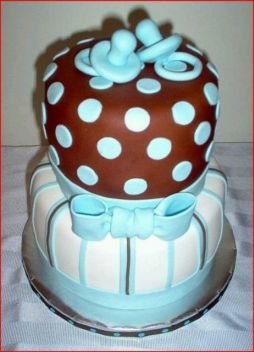 Pretty proposal with an original combination of colors blue, white and green. 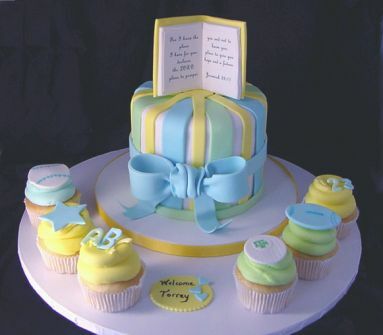 This model has the combination of the Baby Shower cake with a tender cupcakes with different details. 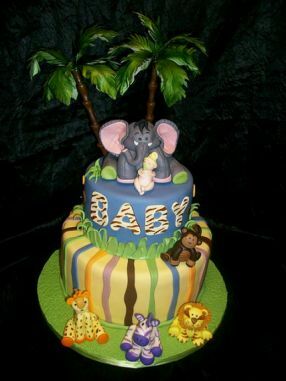 Beautiful and elegant model with a baby on top, if you thought it was impossible to use the color black for decorating a cake for the occasion, the picture shows you that in reality, the result is excellent. 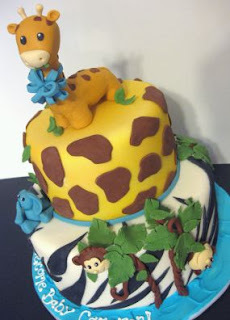 One of the favorite topics for this occasion, is the jungle, here's a cute model with mischievous monkeys at the bottom and a giraffe on the top. 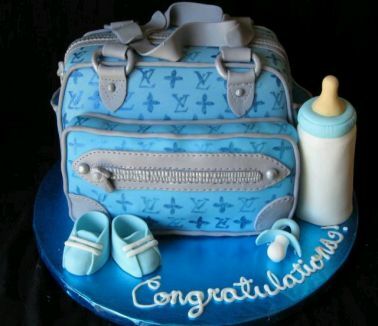 But if you want to surprise with an original cake, this is unique, a beautiful baby case, the work is a work of art. Another tender proposal with animals in the jungle. 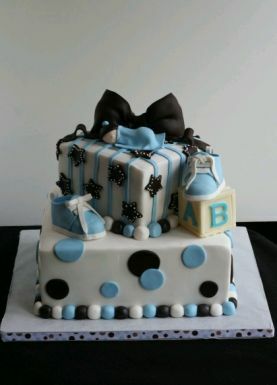 Finally, an elegant two-floor cake decorating two pacifiers or lollipops on top. I hope these ideas have helped you.